Learn about how to change everything in your review settings, from connecting review pages to customizing the review email template. 2. Once you are directed to the account settings page, there are two sections that are related to review settings. These sections are “Review Custom Links” and “Review Email Template.” We will go over what these do and how to adjust them as we continue through the article. 1. Navigate to the “Account Settings” page and then click on the “Review Custom Links” section. 4. If the site you’d like to connect is not one of the choices, choose “Other” from the drop-down menu. Once choosing “Other,” you will be prompted to enter the site name, the URL, and upload an icon if you’d like. 5. Once you have added all sites you would like, click the blue “Save” button and you’ll be all set! 1. Navigate to the “Account Settings” page and then click on the “Review Email Template” section. 2. 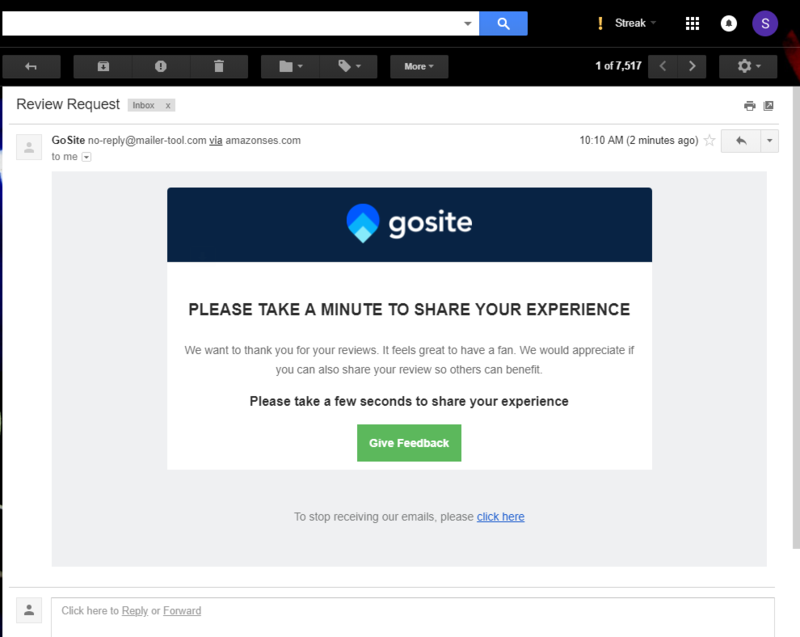 Scroll down to where “Review Email Template” is small and highlighted in light blue. Everything below this is how you edit the email that you send to request reviews. If you need help with learning how to send out these emails click here for our Review Request article. 3. The first step is to choose the type of review request you want to send. There are three types of reviews which can be found when clicking on the dropdown menu “Review Request Type.” The types are “Prescreen with Satisfied/Not Satisfied,” “Leave first party review first,” and “No prescreen.” We will go through what each of these mean. 4. 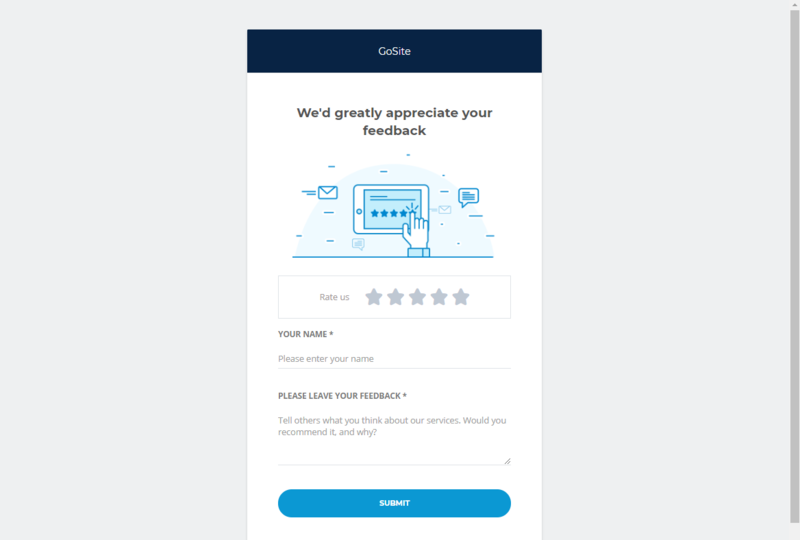 The “Prescreen with Satisfied/Not Satisfied” request type sends an email to the customer asking them to give a positive review with a rating or conversely to give feedback. 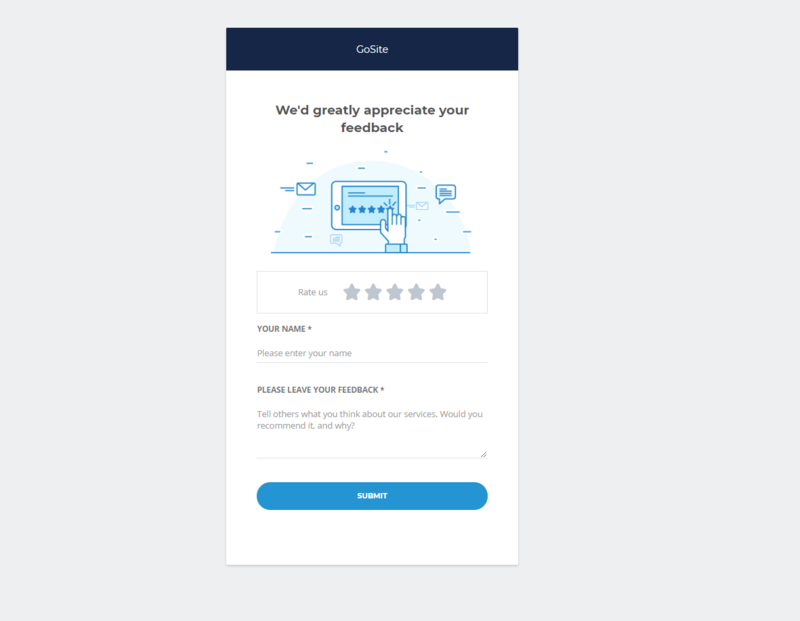 If the customer chooses to give feedback, they will not be prompted to give a rating. Below is what the email request, Satisfied form, and Not Satisfied form will look like. 6. Lastly is the “No prescreen” request type. 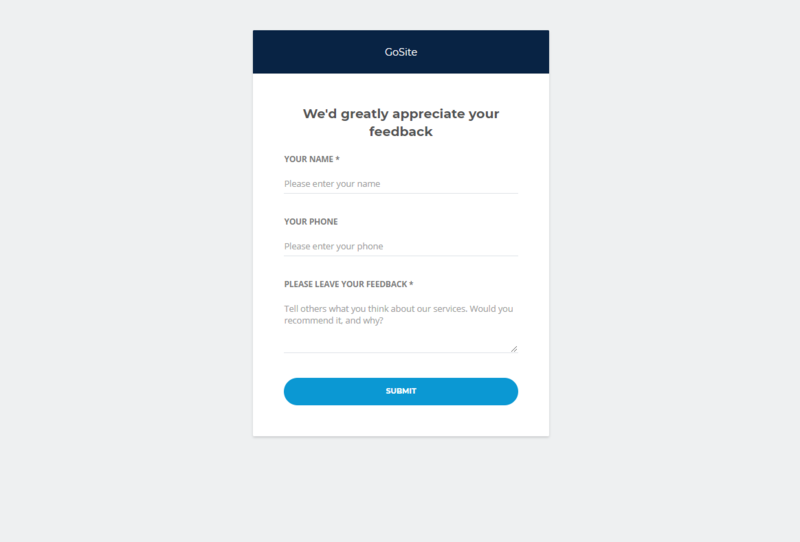 This form skips the prescreen and directs the customer directly to your site or third party sites to leave a review. We do not recommend this review type since it keeps our software from filtering low-rating reviews. 7. 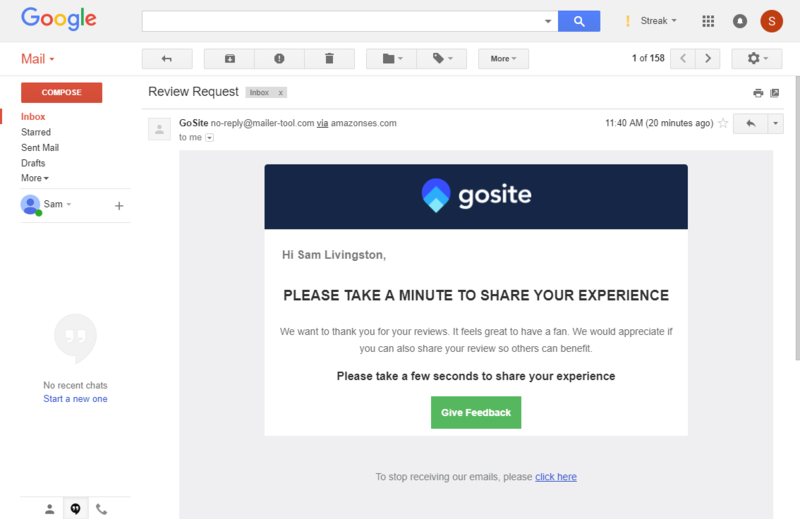 Editing the “Request Form Message” changes what the review form that customers will see says on it. Shown below is where to edit the message and where it will appear on the form. 8. Editing the “Sender Name” changes who the customer sees the email is coming from. Editing “Review Email Subject” changes the subject line of the email. Editing the “Sender Email” changes which email you will send these requests from. You can edit this by clicking on the green pencil icon next to your email. 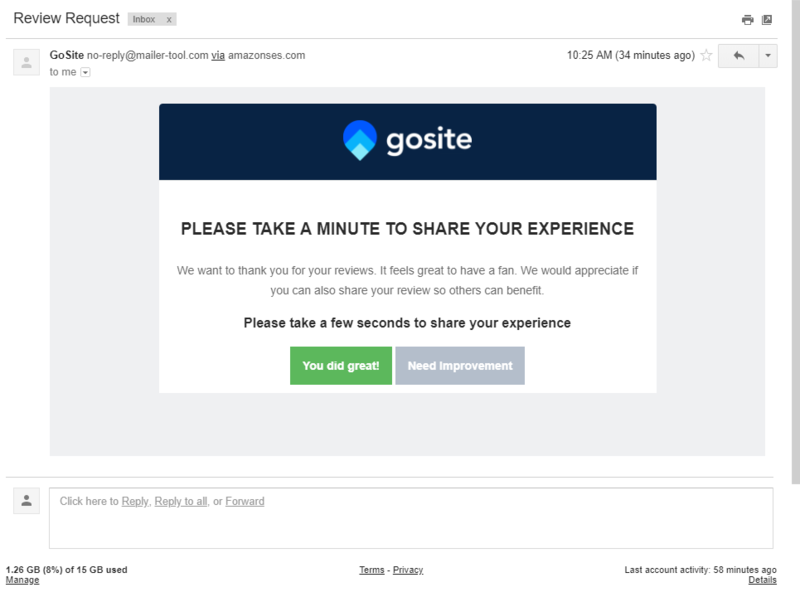 Lastly, editing “Review Reply Message” is the message the customer will get after completing a review. 9. To edit the actual content and wording of the request email, scroll to “Request Email Message.” From here you are able to type exactly what you want your message to say and format your email. Once you edit the email message, you’ll have fully customized the review email template! 1. First, navigate to the “Account Settings” page, which you can find by clicking on your name or on the person icon on the top right of the dashboard. 2. Click on the “Review Custom Links” section of the Account Settings page. 3. Once you open this section you will see an option to adjust weights from a drop-down menu. Weights are a little confusing so we will explain how they work next. 4. Essentially weights work like this. By putting more weight on a page, it will display that page's logo much larger than the other pages to help influence their decision. For example if I send out a review request to 10 people but I set the weight of the Google page to 6 and the rest at 1, then out of the 10 emails sent, 6 people will see the larger Google logo and the rest would see each other page with the larger logo. 2. Click on the “Review Email Template” section of the Account Settings page. 3. Once opening this section you will see where it says “Mail Scheduled Interval” directly below “Review Email Template.” You can adjust how many days you would like your interval to span across. We will explain how this works and what it does for your review requests next. 4. Setting a schedule spreads out when review requests are sent over a certain period of time. 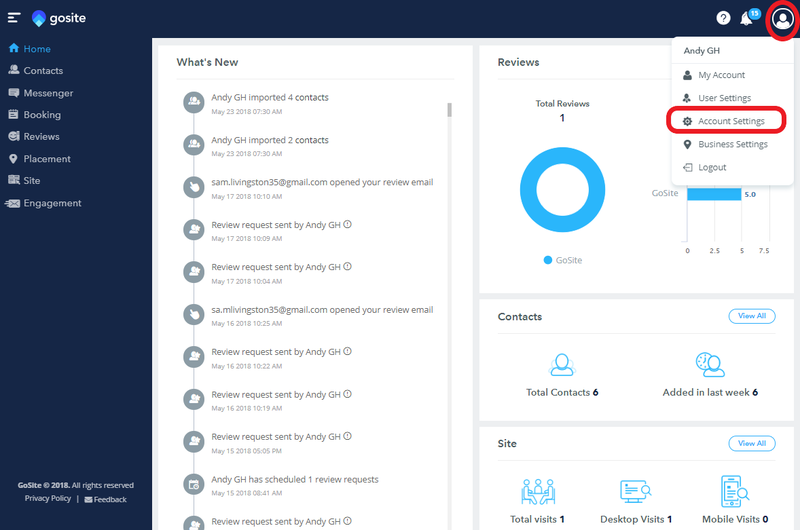 For example, if you send a review request to 50 contacts over a period of 70 days those request emails will not be sent in one day but rather over that time period. This is beneficial because it allows you to get a consistent stream of reviews rather than all at once. 2. On the Account Settings page there will be a section at the top called “General Settings.” This is where you will be able to connect your Facebook and Google My Business pages. If you'd like to see a video walkthrough of how to update review request settings, click below!